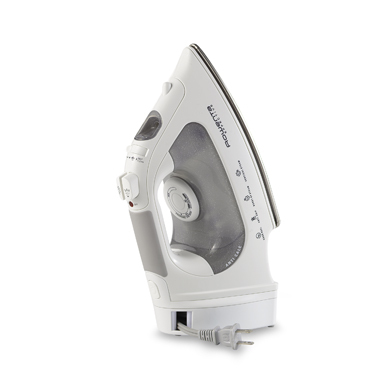 We got a nice iron two years ago for our wedding, but it has been dropped on the floor too many times and now the steam function doesn’t work. This one from Bed, Bath, and Beyond has a handy retractable cord and with one of those 20% off coupons, it is in the budget. 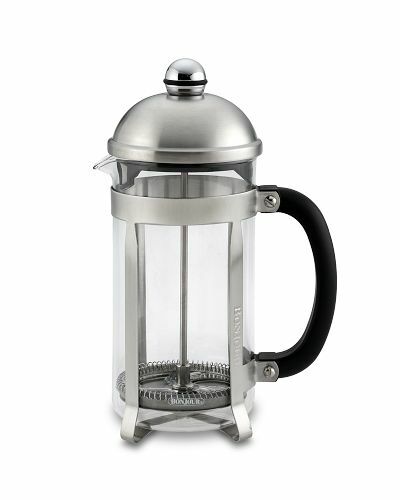 My husband just told me that our coffee maker broke this morning (I wouldn’t know because I have been drinking decaf tea lately) and I’ve always wanted a french press. My grandmother used to have one and I’ve read the coffee is much better when made with one. The one above is from William Sonoma and would take up much less counter space than a bulky automatic one. I’ve been dying for an island in our kitchen for a while now. We don’t have a proper silverware drawer (ours is in a lower cupboard) and an island would solve this problem. I also really want to redo our kitchen floors and am hoping we can complete these projects over the summer. 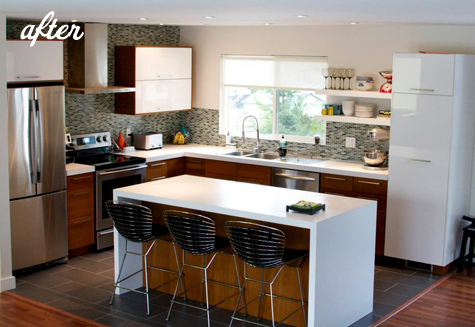 Above kitchen from Design Sponge. I’d love an ipod dock so we can listen to music outside or while cleaning the house. I actually bought one for my husband for Christmas (I guess it was sort of for me, too), but he returned it because it wasn’t the exact one he wanted. Unfortunately, we still haven’t replaced it. The one above is a bit pricy from Best Buy, but I think I can find something cheaper. 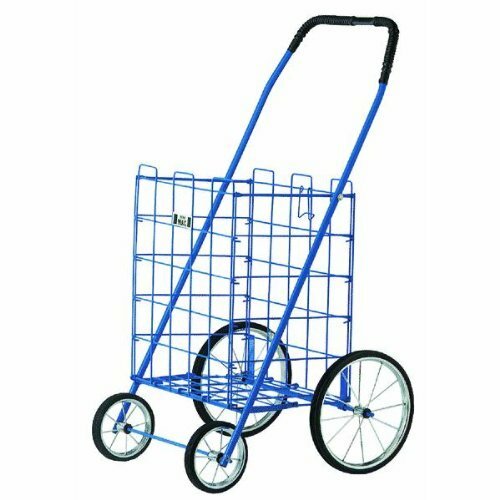 Another item on my list is a grocery cart like the one above (from Amazon) so I could walk to Trader Joe’s and back with all of my groceries in tow. You see, we live just a few blocks from TJs, but we rarely walk there because we usually have too many groceries to lug home. This way I could get some exercise in while doing the weekly shopping. We have that iron and LOVE it! Also, I want a grocery cart too. We also live within walking distance of a TJ's but rarely walk b/c of all the stuff we bring back. We have an ihome that we love. It was only 90 bucks with the coupon at bbb and it works great! Can hear it outside and inside… Def worth the purchase. We can't wait to get stuff for our backyard! I have a french press and lurve it! I got a small (single serving) one for my decaf coffee from Target for something like $16. My wish list is less a thing and more a service – I want to get someone to mow and edge the front lawn. Of course, first, I need to re-sod a section of it. sigh. I found you thru spearmint baby. Love following ur story. Do u know more info on that much from design sponge I can't find it on the site' or the day out was posted over there..thanks!